"I will always remember my encounter with Dr Patel and the entire staff"
"6. Scheduled testing Dr. Patel was very sympathetic." "Dr. Patel - very caring!" "I feel very lucky to be in the hands of Dr. Patel. Yes; of course I would recommend him (if he can fit them into his busy schedule). " "Dr. Patel is so caring and professional." "Dr Patel enters the room prepared for my visit, makes eye contact,explains my lab work, etc, listens attentively and answers clearly. I recommend him constantly to friends and family." "I have known Dr Patel for 20+ years. He is a compassionate, responsive, excellent cardiologist." "Dr. Patel is great - thorough, patient, professional - highly recommend!" "Dr. Patel is one of the most compassionate, kind and caring doctors I know." "Dr. Patel was familiar with my history, very personable & caring, gave me 100% of his attention"
"There should be a number 10 on this survey. Doc Patel is a 10!" "would recommend Dr. PTel and service to everyone. very happy with the care and service . would not change. HAPPY!!" "Dr Patel is one of the best and very knowledgeable doctor that has been caring for me thru the years"
"Dr Patel has a very calm manor and this along with his medical expertise instills trust to me as it did for my husband. Dr Patel is understanding and shows genuine interest in patients well being. He is the best! !Thank you"
"Dr. Rajoo Patel is a miracle of kindness and concern. I trust him completely." "Dr. Rajoo Patel makes my visits a pleasure. He is friendly, gentle & engaged. Prompt in getting into the exam room & professional." "Dr. Patel is one of the friendliest and caring physicians I have ever met." "The nurse (I am sorry that I don't remember her name) put me at ease and was friendly and professional. Dr. Patel is thoughtful and considerate, he takes his time which allows me to express any concerns. I feel confident in Dr. Patel's care, which helps me to be compliant with medications and office visits.... It really helps when you like your MD." "Dr. Patel is a warm, caring, extremely capable physician! 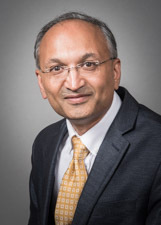 I feel lucky that he is my dr."
"I am extremely happy and confident in Dr. Patel"
"They don't come any better than Dr. Rajoo Patel" - He is thorough, kind, professional and clear in what he tells you! He treats all his patients like family - Love him!" "Very impressed with Dr. Patel"
"Dr. Patel's the best! Very professional compassionate and caring. You couldn't find a better doctor!" "referred a friend to Dr. Patel"
"Rajoo Patel has been our physician for many years. We love him!" "I've been touting dr Patel, to others, for years. he is a wonderful person who happens to be a great doctor." "Dr Patel is an outstanding physician and has always demonstrated his concern." "always feel very comfortable with professionalism and caring of Dr Patel." "Dr Patel is an excellent physician with many years of experience and expertise, easy to speak with and genuinely cares for his patients." "I have total confidence and respect for Dr. Patel and the staff. I am very happy that I am in their care." "I have seen Dr. Patel when necessary since 2008 always with good result." "Dr. Rajoo C. Patel is the best.!!!" "DR. RAJOO PATEL IS A MIRACLE. I know quite a few of his patients and we all love him!" "Dr. Patel is my favorite care giver. '" "Dr Patel is the doctor all of us have been searching for. superb care by s knowledgeable andcompassionate, professional"
"I have been a patient of Dr. R. Patel for many years, and I am completely satisfied with the level care and expertise afforded me." "Dr Patel, is one of the best Doctors..His concern for my well being, goes beyond compare...including giving me his cell phone number, should I need to reach him for anything..."
"dr. Patel is among th very best I've ever had./"
"Dr. Rajoo C. Patel. I have been going to him for many years. I treat his medical advice. He is the best." "Dr. Patel is an OUTSTANDING physician in every way. Skilled, compassionate & has excellent communication manners." "Dr. Patel is courtesy through - patient - and very professional. " "dr Patel always takes time to listen and to evaluate my situation. I think he's the best!" "Dr. Rajoo Patel is a great, & caring doctor who treats his patients with care and great attention. He answers all questions, and takes as much time needed to give the best & professional care needed. #1. Dr. Patel is a friendly and great doctor." "Dr. Patel is a thoughtful courteous man. Takes whatever time required with you. All physicians should be this way!!" "Dr Patel is the best doctor I ever had." "Dr. Patel is an outstanding physician is gentleman." "Dr. Patel is the most compassionate, professional and caring doctor I have ever had." "Dr. Patel has been my trusted friend and cardiologist for years." "Dr. R. Patel is the best MD in the field!" "Long association with Rajoo Patel MD. Complete confidence in his ability & care." "I couldn't ask for a more professional, caring and knowledgeable physician than our (my wife and mine) Dr Pajoo Patel." "Dr. Patel is a kind and gentle individual who issues a patient that she is receiving the best care possible." "I would recommend this doctor to others"
"I believe Dr. R. Patel, is an exceptional, caring doctor. I wish there were more like him." "treats every one with the utmost care"
"Dr. Patel is a good and caring physician. I wouldn't leave his care for anyone else, unless he recommended it." "I have always had a great experience during my appointments with Dr. Rajoo Patel." "Dr. Patel has been my cardiologist for many years and I trust him implicitly!" "One of the best MD's I have." "The best experience, friendly and always with beautiful smile. Lucky to have this doctor." "Dr Patel is a wonderful listener - I do not believe I could have made it into my nineties without his care." "Always patient - several times called my son to make sure we understood what needed to be done! He is excellent in our opinion - has brought both of us thru SERIOUS illness! God Bless him - there should be more doctors like him." "I couldn't ask for a better Physician than Dr. Patel and his staff"
"Dr. Rajoo Patel is the best cardiologist for my husband. His "bedside manner" is exactly the coolness and genuine concern that places us at ease. His professionalism is outstanding." "Bright, caring, kind - highly respect him & recommend him."